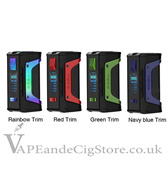 VAPEandeCigStore.co.uk are fast becoming the Uk's number 1 when it comes to delivering electronic cigarettes with outstanding service, speed and low prices.Electronic cigarette, eCigarette, or vaping is fast becoming the alternative to smoking for many reasons, Many see it as a way of quitting smoking, and some use it for social reasons. It is our strong belief that the electronic cigarette development will revolutionise the worlds smoking market, and give you the choice to maintain a happy habit that provides a much healthier and pleasant experience to that of smoking for you and those around you. 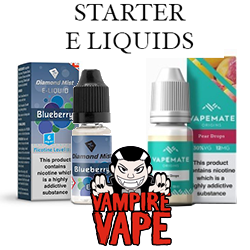 VAPEandeCigStore.co.uk have now opened thier first vape store at 50 Collier Row Road, Collier Row, Romford, Essex, RM5 3PA. 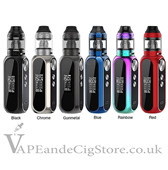 We aim to bring you many of the finest vaping devices on the market, We stock items from the basic starter kits along with regulated mods and then onto the more serious squonk mods. 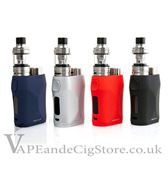 Some of the brands that we deal with are Kangertech, Apsire, Innokin and Sigelei plus many more. 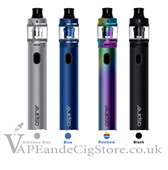 We also stock various items for the beginner vaper such as Clearomisers, Tanks, Rebuildable Dripping Atomisers (RDA), Batteries from the Samsung 25r to the new LGHE4. 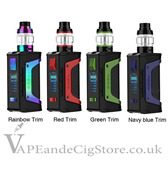 We constantly strive for perfection and deal with many of the worlds largest suppliers aiming to bring you the latest devices out there in the vaping world. Whatever your experience of electronic cigarettes, vape and vaping we'd love to hear from you, as we're proud to be able to contribute to the healthier living of our customers. Please let us know if there's something you are looking for that you can't find, or if you have any comments to make about our service. 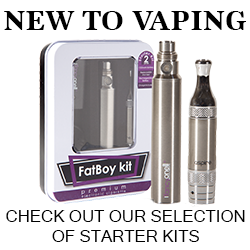 Our aim is to become the go to website in the UK be it for electronic cigarette supplies, or further information about electronic cigarettes. Join us on our journey to enable a healthier lifestyle for all our customers..